Stress, whether mental or physical, is seemingly impossible to turn off in our always-on world. Adaptogenic herbs promote the body's return to stasis, or natural resting state, and provide a powerful tool to counteract the effects of everyday stressors. These ancient herbs offset the impacts of stress, fight fatigue and provide the mental clarity needed to conquer the day. Here's a look at just what adaptogens are and an overview of the best adaptogens for stress reduction, anxiety relief and overall well-being. Many plants are known to have medicinal properties. The medicinal use of plants is referred to as herbalism or phytotherapy. Adaptogens are a unique class of medicinal plants that work with your body to restore and maintain mental and physical balance. These special plants combat stress, boost your immune system, provide energy and much more. 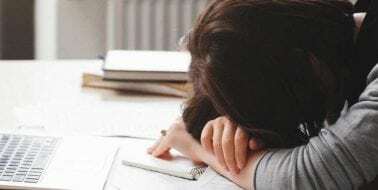 How Do You Use Adaptogens for Stress? Adaptogens restore and protect through their unique ability to fine-tune and regulate the body's hormonal secretions and stress responses depending on exactly what the body needs. Like an herbal thermostat, adaptogens regulate the central part of the body's stress response system, known as the hypothalamic-pituitary-adrenal axis. Because of these regulating effects, the use of adaptogens for stress offers several other ancillary benefits including boosting the immune system, increasing endurance and mental clarity and balancing the mood. Adaptogens are a great natural way to combat stress and promote calmness while also boosting mental and physical energy. Here's a look at some of the most beneficial adaptogenic herbs for stress relief. Ashwagandha root, also known as Indian ginseng, has been used for millennia in Eastern medicine to alleviate anxiety and promote sexual health. Modern research has given weight to its medicinal value, showing that ashwagandha is effective at increasing stamina and preventing stress-induced disorders. Its regular consumption reduces anxiety and stabilizes mood, strengthens the immune system, reduces inflammation and may help to alleviate the symptoms of menopause. Used in Eastern medicine for thousands of years, ginseng is likely one of the most well-known and widely used adaptogens, and not without good reason. 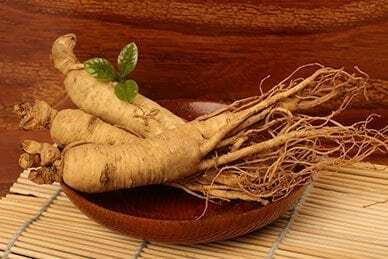 Ginseng is a powerful antioxidant that boasts many research-backed health benefits, including boosting memory performance, promoting feelings of calmness and supporting immune response. One of the fundamental herbs used in traditional Chinese medicine, Astragalus has long been thought to strengthen the immune system, fight stress and encourage overall balance. According to research, astragalus improves the body’s stress response mechanisms and helps protect against the effects of aging. Astragalus is also a proven anti-inflammatory, antidiabetic and immune system booster. It repairs and reduces oxidative stress, providing protection against cancers and promoting cardiovascular health. Sometimes referred to as water hyssop, bacopa is used in Ayurvedic medicine to help memory and improve cognition. Research has proven that bacopa reduces oxidative stress in the brain and improves certain forms of memory. 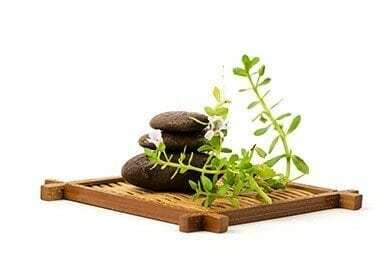 Bacopa supports the central nervous system, lowers cortisol levels, reduces feelings of anxiety and lowers heart rates. Long used in traditional Chinese medicine to fight fatigue, eleuthero is now one of the most prescribed remedies for chronic stress and stress-related conditions. Studies have shown that eleuthero may provide a variety of benefits including boosting energy, improving physical and mental performance and strengthening the immune system. Use of Eleuthero has also been shown to modulate blood sugar levels and normalize heart rhythm. For over six thousand years, holy basil has been used in Ayurvedic medicine to treat ailments ranging from infection and skin disease to cold, cough and fever. 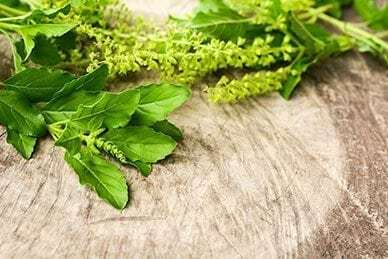 Well-studied, research has shown that holy basil is a powerful adaptogen that possesses a long list of beneficial properties, including improving stress response, modulating immune system response, reducing the occurrence of ulcers, and promoting cellular health, just to name a few. One of the most used herbs in traditional Chinese medicine, licorice is regarded as a "guide drug" that is used in conjunction with other remedies to enhance their effects. Research suggests that licorice may be effective at correcting adrenal fatigue. Licorice's ability to regulate cortisol levels helps alleviate stress-related symptoms such as depression, anxiety, fatigue and stress-induced digestive disorders. 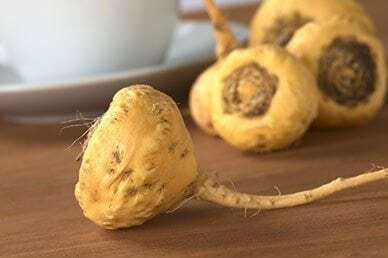 This turnip-like root hails from highlands of Peru and, even though it bears no relation to true ginseng, is sometimes referred to as Peruvian ginseng. Like licorice, maca root is extremely effective at balancing the endocrine system. Maca helps the body to fight the effects of chronic stress and anxiety through its ability to improve hormonal balance and support adrenal function. This superfood may help improve memory, reduce symptoms of depression and promote sexual health. Used by Nordic warriors to improve performance on the battlefield, Rhodiola is also highly regarded in traditional Chinese and Russian medicines for its ability to promote stamina and longevity. Modern research suggests that Rhodiola has a regulatory effect on the central nervous system and that it's effective at combating stress and stress-related disorders. Rhodiola improves brain function and alleviates fatigue-induced depression.